Creatine Monohydrate Powder, 8.8 oz /250 g each (Nature's Wonderland) - Penn Herb Co. Ltd.
Creatine Monohydrate is involved in the formation of adenosine triphosphate (ATP), the source of energy for muscle contraction and many other functions in the body. It supports performance and maintains muscle tissue during short-term, high-intensity activities. 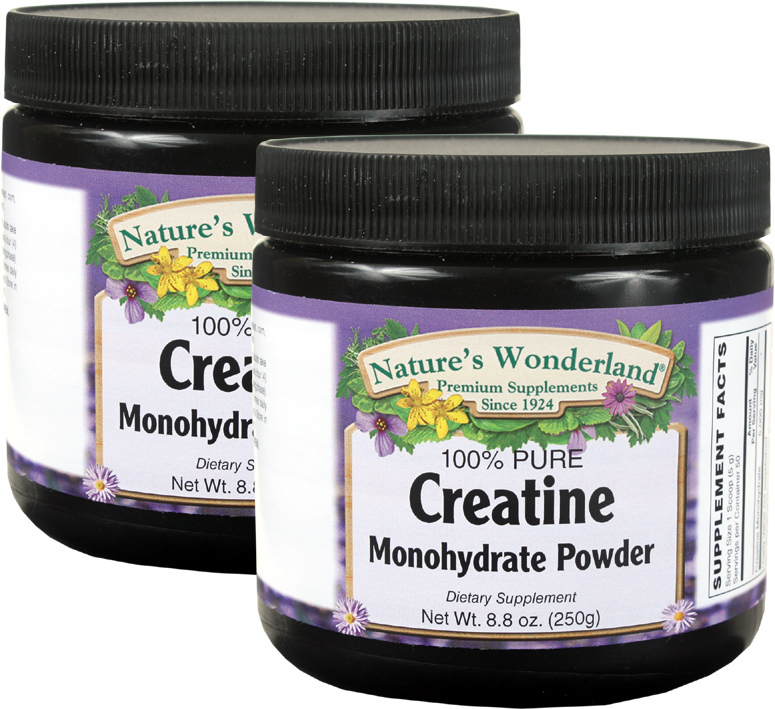 Our Creatine Monohydrate Powder contains 100% pure Creatine Monohydrate. Each batch is tested to guarantee quality and purity. May help build muscle mass, improve performance and delay muscle fatigue during short-duration, high-intensity exercise, such as sprinting or weight lifting. As a dietary supplement, adults take 1 scoop in 8 oz. of water or juice, four times daily during the first 5 days (loading phase). After loading phase take 1 or 2 times daily or, as directed by a health care professional.